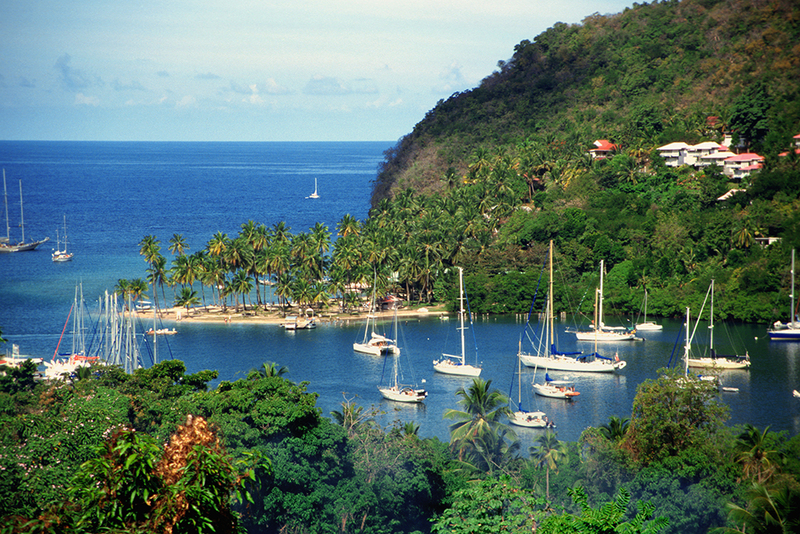 St. Lucia is an island in the Caribbean located just north of Trinidad and Tobago, off the Central American coast. It was first discovered by the Spanish in 1492, and was eventually secured by the British in 1814. Thus, it is part of the British Commonwealth. Tourism is essential to St. Lucia’s economy, although its economic importance will continue to increase due to the competitive banana market. St. Lucia is an extremely popular tourist destination due to its scenery and warm climate, as well as its numerous resorts and beaches. 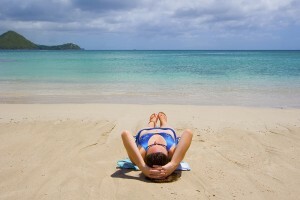 The most popular way of getting around St. Lucia is by taxi. It is much more affordable than taking a tour. Fares are typically fixed, and a hotel staff member should be able to provide you with a phone number for a taxi agency. Some taxi drivers even offer tours of the entire island for a price of $145. Local buses also provide a cheap way of getting around. They are called buses but are actually small vans that hold between 10 and 14 people. They provide a unique traveling experience and are also very affordable. For those not on a budget, taking a water taxi is a terrific experience. Water taxis are actually a main source of income for many locals, and they offer a picturesque and convenient way to travel a short distance to either private beaches or coastal towns. Renting a car is also a possibility but drivers do require a permit. Because St. Lucia is part of the British Commonwealth, driving is on the left-hand side of the road. 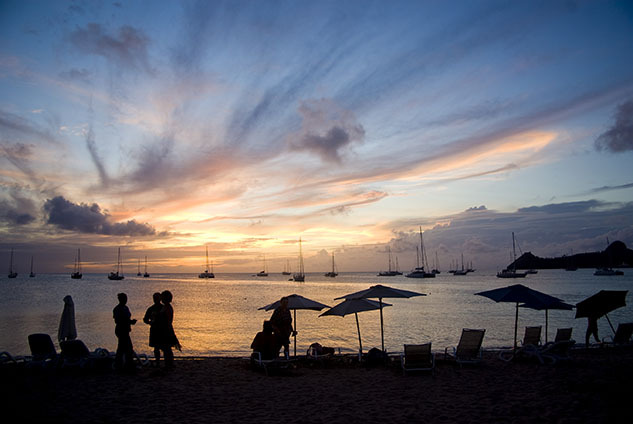 There are many things to see and do outside of your resort during your time on St. Lucia. The Pigeon Island nature reserve, located north of Gros Islet, is a historical site with some of the oldest buildings on the island. The Sulfur Springs are a popular attraction. They are hot springs with a pool that hot water runs through and is great for swimming. There are many official hiking trails through the rainforest. Another popular activity is climbing the Gros Piton. The trailhead begins at an elevation of 600 feet above seal level. It takes about two hours to reach the summit, which brings you to 2600 feet above seal level. It costs $30 to climb this trail, and guides are required. Snorkelling is also very popular, and can be done at many different beaches. 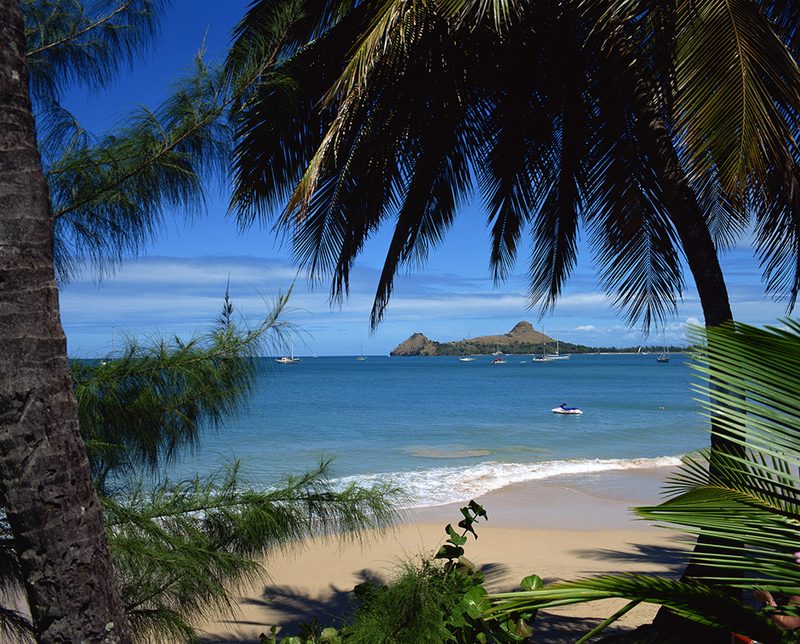 Scuba diving is also available at Pigeon Island, which is a historical landmark. The food options on St. Lucia consist primarily of fresh fruit, vegetables, and fish. A number of local restaurants offer vegetarian and meat rotis. Rotis are typically made fresh in the morning, so try to get there for lunch. Local cuisine is offered and prepared throughout the island, while fish, goat, chicken and veggie meals are very common. Barbeques with both pork and chicken can be found in almost every community on a Friday night, so feel free to stop for a quick snack. Weekly festivals allow you to sample a wide range of local cuisine. For drink options, St. Lucia has an incredible Rum Punch, which is very popular among tourists. The Crystal Lime clear rum and Chairman’s Reserve dark rum are also recommended. 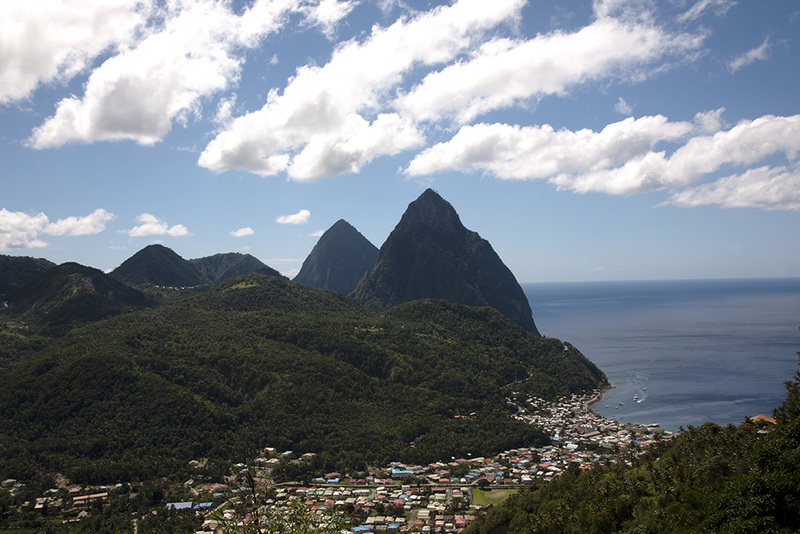 For beer, the Piton Lager is domestic, brewed and bottled on the island. There are import options available, however.